Engraved plaques and other commemorative signage will provide you with an eye-catching and durable means to display specific information. However, the majority of individuals take this technique for granted. How does the engraving process work? What steps are involved? Why is attention to detail so very important when creating a bespoke design? Although there can be slight differences in methodology, most engraving firms share a number of steps in common. Appreciating the work that goes into such products is important if you hope to make an informed decision. Let’s take a closer look at the science behind plaque engraving. Much like any other artistic endeavour, the professional engraver will first need to appreciate the basic layout of the intended design. This may sometimes include the addition of graphics such as branding or even an image transferred from a photograph. Once the proper design has been printed on a piece of paper and it is determined to be the appropriate size, the real work begins. This paper-backed design is then wrapped around the spindle of a lathe-like machine. A metallic sheet is placed next to the paper. Once the paper and the metal are firmly in place, the engraving process can begin. The machine employs a very sharp needle and as the spindle turns, it will begin physically etching the surface of the metal. The key point here is that the unit is designed in such a way as to ONLY engrave when it identifies a black portion of the text. It will perform no action once the cutting head passes over a white or blank background. Simply stated, this process is able to make an accurate reproduction of the initial design. 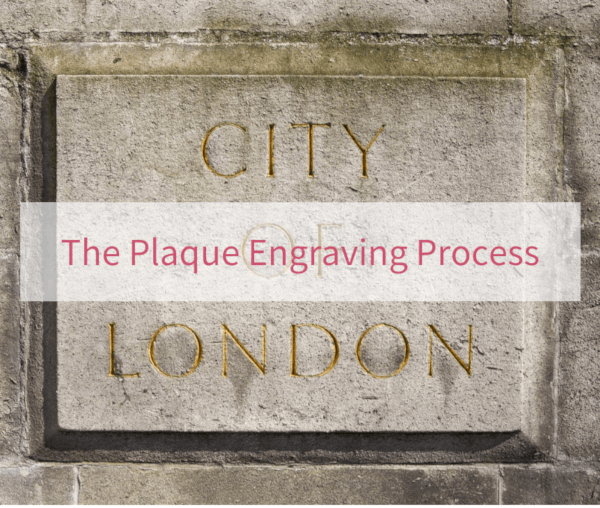 We should mention that the process of plaque engraving can sometimes take on other forms. Larger surfaces or bulk production requirements will often employ computer-based software so that the end products can be created much faster. On the contrary, many artisans still practice hand engraving. While the process naturally takes longer, the fact of the matter is that each result is entirely unique. This can also be performed in the event that very complicated patterns need to be created (such as those traditionally found on the barrels of some antique guns). While modern engravers have a number of options at their disposal, the end result is still an eye-catching and unforgettable design that will not soon be forgotten. This entry was posted in Able News on 20th September 2018 by admin.